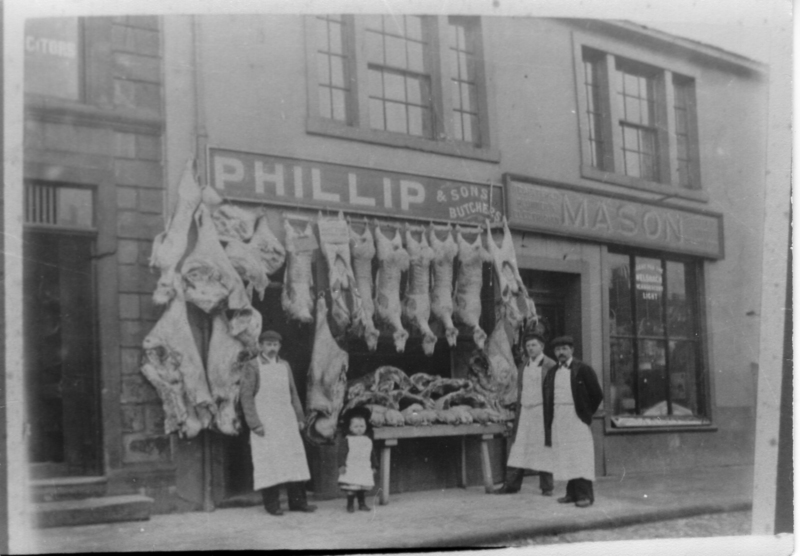 Phillip's butchers on High Street. Picture is of the three Phillip brothers, left to right are William, Richard & then John who was my grandfather who also had the Craven Arms on Newmarket Street. We think the little girl is either Nancy Phillip or Ann Phillip my mother who was later Ann O'Brien. The shop was demolished in 1928 and rebuilt for G.H. Mason & Son and now occupied by Boots Chemists. The year of the photo could well be about 1909/10. The date guide may have been mixed up with the year the buildings were demolished.